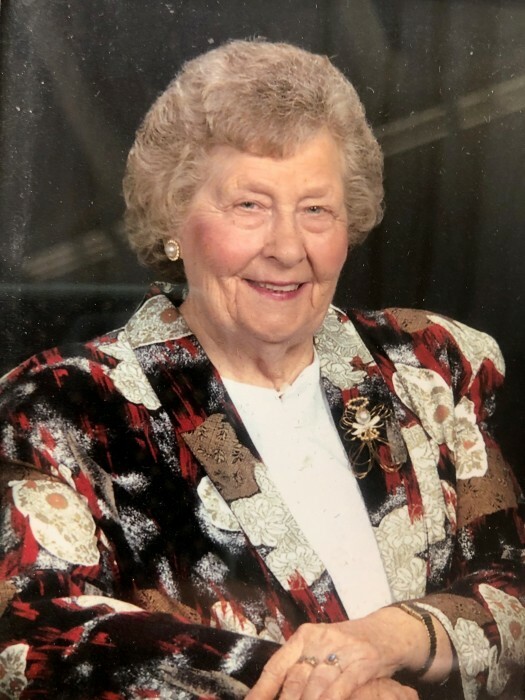 Ms. Virginia Lee, 91, of Benson, passed away on Sunday, April 14, 2019. A funeral service will be held on Wednesday, April 17, 2019, at 2:00 pm at Unity Advent Christian Church in Four Oaks. Officiating the service will be Rev. Jason Hudson. Interment will follow in the Roselawn Cemetery in Benson. The family will receive friends at West & Dunn Funeral Home in Benson on Tuesday, April 16, 2019, from 6 to 8 pm and other times at the home of Thomas and Karen Parker at 406 East Davis St. Smithfield, NC 27577. Survivors of Ms. Lee include a daughter, Arah L. Parker of Smithfield; son, David Gerald and Laura Lee of Marietta, Ga.; grandchildren, Clay Parker and friend Elizabeth Bailey of Smithfield; Thomas and Karen Parker of Smithfield; Nicole Stephens and husband Gil of Benson; great-grandchildren, Sarah Dunn, Ricky Salyers and wife Jessica, Kyler Parker and Fiance Caroline Hardison, Klaiborne Parker, Kreston Parker, Matthew Anderson, Drake Stephens, Jonathan Stephens, Lola Beth Stephens, great-great-granddaughter, Baylen Salyers, sisters-in-law Ann Pope, Barbara Lee, many nieces and nephews. Ms. Lee is preceded in death by husband, Aaron D. Lee, son-in-law, Johnny C. Parker, brothers and wives, Bill and Katie Pope, Ernest and Hixie Pope, Ralph Pope, sister and husband Doris and Carl Dover. Memorials may be made to Unity Advent Chrisitan Church at 304 Unity Church Rd., Four Oaks NC 27524. The family has entrusted the services with West & Dunn Funeral Home of Benson.